July | 2009 | CCIE, the beginning! NAT-PT method allows IPv6-ONLY nodes to communicate with IPv4-ONLY nodes or vice versa, a sort of gateway for IPv4/IPv6 networks, so dual stack is needed ONLY on the NAT-PT device. This Transition method could be useful when IPv6 is be the predominant connectivity type with a need to connect to specific IPv4 nodes, in their way to die out. Although this method is deprecated, it could be an excelent introduction to understand NAT64/DNS64. Also an example of NAT-PT with ALG (Application Layer Gateway) is provided. Figure 1 illustratesthe Lab topology used to test each of the previously mentioned NAT-PT methods. Both networks route their traffic to the Border router (NAT gateway) supporting dual-stack, where translation from IPv6 to IPv4 and IPv4 to IPv6 is be performed. Figure 2: The network as seen from IPv4 side. The prefix 2001:a:b:c:: represents IPv6 address scheme inside IPv6 site. c0a8:28c8 Is the representation of IPv4 address in Hexadecimal. is called NAT-PT prefix and represents IPv6 address prefix reserved for IPv4 nodes from the IPv4 site as seen from the IPv6 site, it could be part of the IPv6 site address scheme or a different prefix allocated from the ISP for the subject in matter. As mentioned earlier, IPv6 site is communicating with specific IPv4 nodes from IPv4 site (except for IPv4-mapped NAT-prefix). !! any IPv6 packet with IPv6 source address 2001:a:b:c:X with X=1,2,3 will be translated to an IPv4 source address 192.168.40.X with X=1,2,3 respectively. With Dynamic translation, a specific IPv6 prefix will be translated to a pool of IPv4 addresses as the source address; and the destination is translated to the static v4v6 entry. Because there is three IPv6 nodes and three IPv4 addresses, a one-to-one translation will occur. will trigger v6v4 operations and will be translated to the unique IPv4 outbound interface. We’re still communicating to IPv4 node 192.168.40.200 represented by 2001::c0a8:28c8/96. By the way, IOS will not allow you to disable configured commands, if their corresponding translations are still active, so you have to clear all translation entries before making any changes in the configuration. Let’s keep previously configured PAT and see how NAT-PT handle application layer data like IPv6 addresses embedded in the DNS traffic. We a need static translation to access the specific IPv4 node (DNS server). Name lookup is enabled and DNS IPv6 address configured. Receive a DNS request packet with IPv6 source (2001:A:B:C::1) and IPv6 destination (2001::C0A8:2858). So far, we have been dealing with specific IPv4 hosts inside IPv4 network, but what if we just want to make connections to any IPv4 hosts (ex: to Internet)? IPv6 NAT-PT, as with IPv4 NAT, represents a single point of failure in the network and cannot support end-to-end security. Keep in mind that, the primary goal is to build a native IPv6 connectivity, so as transition mechanisms, it is recommended to use 6to4 tunneling. Unfortunately NOT all Internet Service Providers have switched fully to IPv6 and until a native IPv6 connection is provided to your IPv6 site(s) you will have to use some transition methods like automatic 6to4. Automatic 6to4 is a point-to-multipoint tunneling method, where the tunnel destination is determined from the border router IPv4 address facing the IPv4 network. The border routers that delimit the 6to4 tunnel must support IPv4 and IPv6 and are not configured in pair. Automatic 6to4 can be used to connect two IPv6 networks as well an IPv6 host to an IPv6 network. IPv6 network is treated as NBMA link. The IPv4 embedded in IPv6 is used to find the other end of the tunnel. Border routers create a tunnel on a per packet basis to other IPv6 Border router. Don’t share the same tunnel source interface between different tunnels, because it is used for de-multiplex incoming packet to tunnel interface. Each IPv6 site must have a globally unique IPv4. Before starting the configuration, carefully plan your address scheme. All ipv6 addresses are based on the IPv4 addresses assigned to physical interfaces of each site facing the IPv4 network. IPv6 Addresses are assigned per-site, NOT in pair between border routers. Make sure you already have successful connectivity between sites through IPv4 network. Because automatic 6to4 handles tunnel interface as point-to-multipoint and all site traffic (IPv6) should be transported over IPv4 network, a static route to the tunnel interface is required. In this lab three types of media will be treated : Serial HDLC, Ethernet and Frame Relay. Subnet used for network inside West site. Subnet used for network inside Est site. Do not forget to enable ipv6 unicast routing on All IPv6 routers, unlike routing protocols, the IOS will not warn you if you are using ipv6 static routing with ipv6 routing disabled. Make sure you have a static route to 2002::/16 pointing to the tunnel interface. Because 6to4 tunnelling is point-to-multipoint, the tunnel destination is not preconfigured “UNKNOWN”. Another site (North) is added and all sites are connected through an Ethernet switch like illustrated in Figure2. Subnet used for network inside North site. As follow the configuration of the North site, practically nothing changed, this time we are just dealing with Ethernet media. Note that automatic 6to4 determine each time the needed tunnel destination address and send each packet accordingly. To reach the Eastern isolated IPv6 network it uses the IP packet with addresses 192.168.0.3->192.168.0.2 that encapsulates IPv6 packet 2002:C0A8:3:2::2 -> 2002:C0A8:2:2::2. 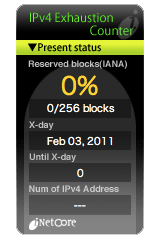 To reach the Western isolated IPv6 network it uses the IP packet with addresses 192.168.0.3->192.168.0.1 that encapsulates IPv6 packet 2002:C0A8:3:2::2 -> 2002:C0A8:1:2::2; and what we see in the previous debug is return traffic. The following trace command output illustrates the different path taken each time to reach different destination tunnel. The same thing here, except for the FR Connectivity with point-multipoint there is no change to 6to4 configuration, first make sure that FR connectivity is successful and then you can set the 6to4 transition method using the interface ipv4. Now the final check guys! Another opportunity to show you that mastering each technology separately will make your life easier when dealing with many technologies combined together.